Their death-defying stunts are scary to watch. Their videos tempt young fans to emulate their exploits. However, these adrenaline junkies publish them anyway in pursuit of internet fame. Russia’s self-proclaimed ‘Spiderman’ even took on a 70-storey building without protection to promote his name. RTD spent a week with the craziest Russian rooftoppers to find out what motivates them… and what price they are ready to pay for more likes. 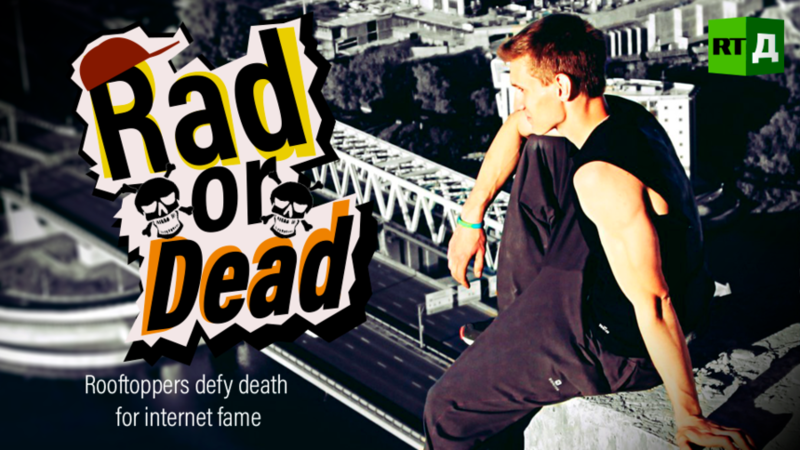 Watch "Rad or Dead" on RTD website and on RT’s live feed. The time of the broadcast is available on RT’s schedule page.